Sintering allows to obtain complex shapes directly from the compacting tooling, without any machining operation, like teeth, splines, profiles, frontal geometries, etc. Achievable tolerances in the perpendicular direction of compacting are typically IT 8-9 as sintered, improvable up to IT 5-7 after sizing. IT 10-13 is achieved in length depending on the component geometry; additional machining operations can improve this precision. 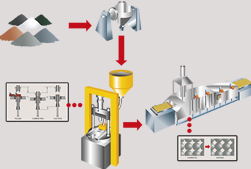 The tool stability, the technical complexity of the production devices, and the SPC control system, give high reliability and repeatability to the mass production sintered components. 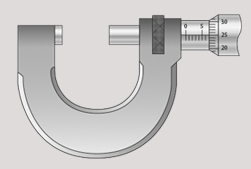 The interconnected porosity of the material can be filled with oils, obtaining then a self-lubricating bearing: the oil provides constant lubrication between bearing and shaft, and the system does not need any additional external lubricant. The sintered materials have homogeneous micro-structure in the three space directions, so properties are isotropic. Also, the solid-state diffusion mechanism applied to create the micro-structure allows to achieve compositions and materials which are impossible to obtain by melting, like composite materials made of phases insoluble or immiscible between them, or micro-insulated materials. The manufacturing process of sintered components is certified as ecological, because the material waste is very low, the product is recyclable, and the energy efficiency is good because the material is not molten. Surface of sintered components is characterised by the presence of flat areas with very low roughness, interspersed with dips corresponding to the porosity. This surface state is better than that of machined wrought materials, which feature an alternate series of peaks and troughs. 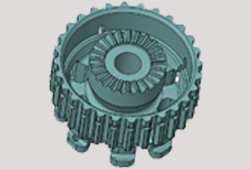 The lower peaks presence allows to reduce the run-in time of the components. The internal micro-porosity of sintered parts produce a damping effect on the vibration propagation. Sintered parts are typically 5% to 25% lighter than the same wrought components, as a consequence of the internal micro-porosity.